Hi, looking for riding partners from so cal area. I'm an older experienced AT owner. 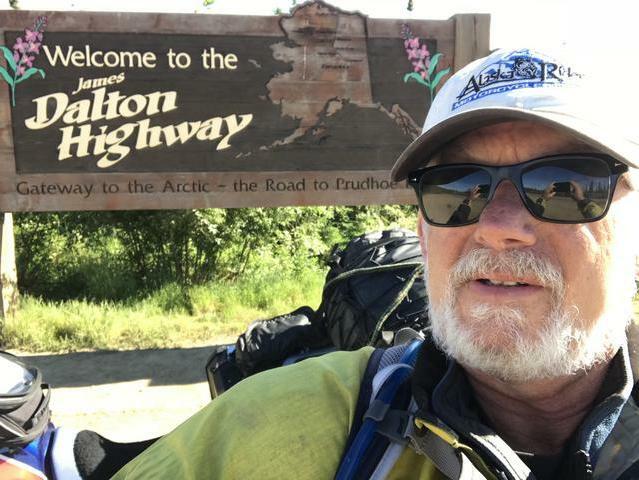 Finished a solo 9200 mile ride to Alaska in June 18. have made several trips to Utah and am in the planning stages of a Continental Divide Trail ride in July 19. like to do 3-4 day trips- like camping. I'm also experienced in motorcycle maintance and custom accessory fabrication. Looking for others to "hang" with. I'm retired so have plenty of time. I am planning a ride April 9-13 2019. Will be going from So Cal to northern AZ and thru the eastern portions of UT. Will be camping. Touring some of the parks. just having a great time. If anyone is interested in going along, let me know. I use my AT to commute to work, and I do some weekend ride with some friends. sounds good. let me know if you want to get together for a shorter day ride - if it ever stops raining. I commuted by motorcycle every day for 37 years- i HATE the traffic. Hey Tom my name is Wes and I am in Phoenix. I would love to meet up for rides either in and around So Cal or if you make it out to AZ or further east. I am however, unfortunately, not retired. So I will probably not be making many 9,200 mile trips to Alaska... As much as I would like to. Hi Wes, Don't get to the Phoenix area often but would like to ride that area- let me know if you would like to put something together. Will be in Prescott on Feb 2, for some "family" stuff- not much time to "ride" on that trip - I also have property at Lake Powell/Page area and get there a couple times a year. Would be great to show you around my area if you get a chance. I'm in Long beach myself. You feel like changing my tires for me?